Anyone else’s home victim to a messy (albeit adorable) tornado of a child? Same. But today we’re here to remind you that you don’t have to sacrifice on style to master function. 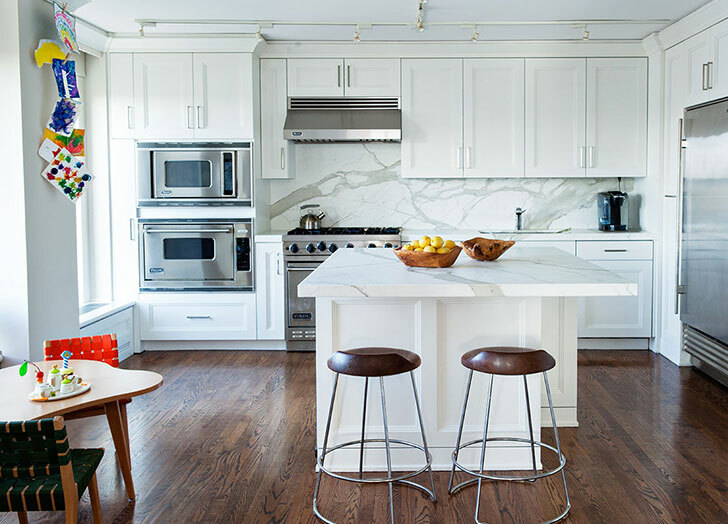 Take this apartment by designer Jess Gersten: While luxe and immaculate at first glance, every last decision was made with her tiny clients (a six-month-old boy and three-year-old girl) in mind. Lucky for you, we’re spilling her secret pro tips below. No bumps and bruises in this tactile living room. Every piece of furniture that lands at toddler eye level or below was selected for its soft edges. 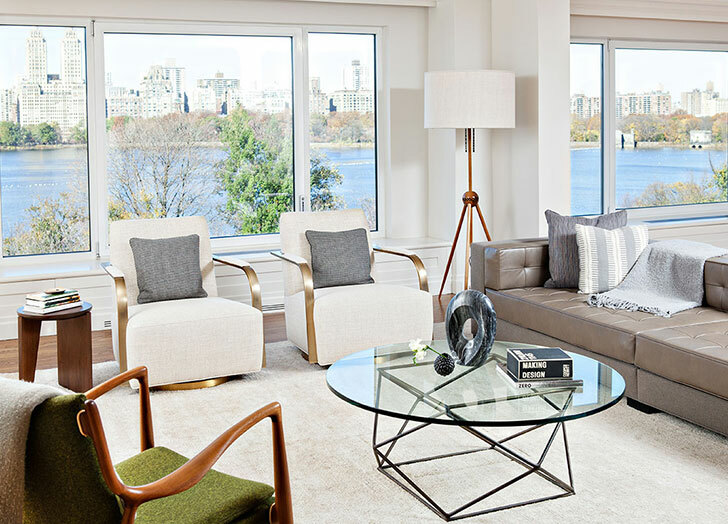 See: the circular glass coffee table, the twin club chairs, the wooden accent table, the mid-century lounger. The one question to ask yourself: Is this easy to wipe clean? 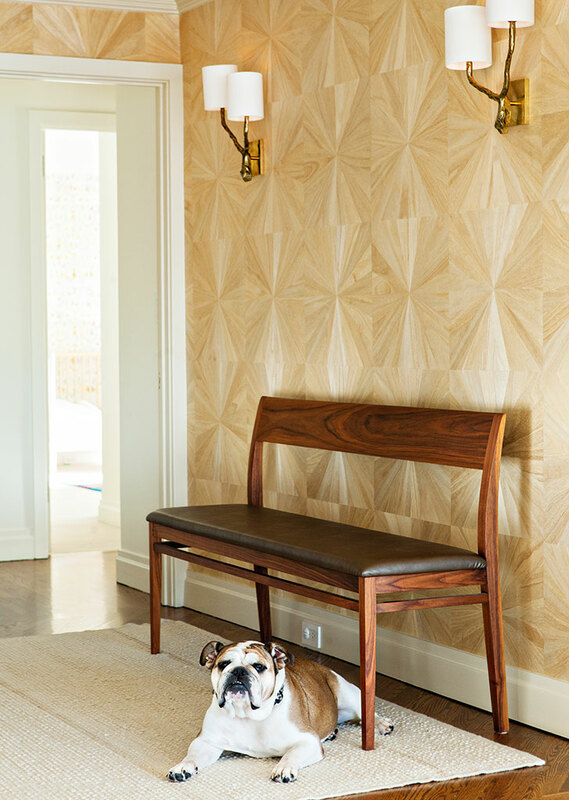 The foyer bench seat is sealed leather, which makes it a safe spot for the kids to kick off their shoes after coming inside from the park. In the living room, the cushions and seat backs on the sofa sectional are also clad in easy-wipe faux leather. 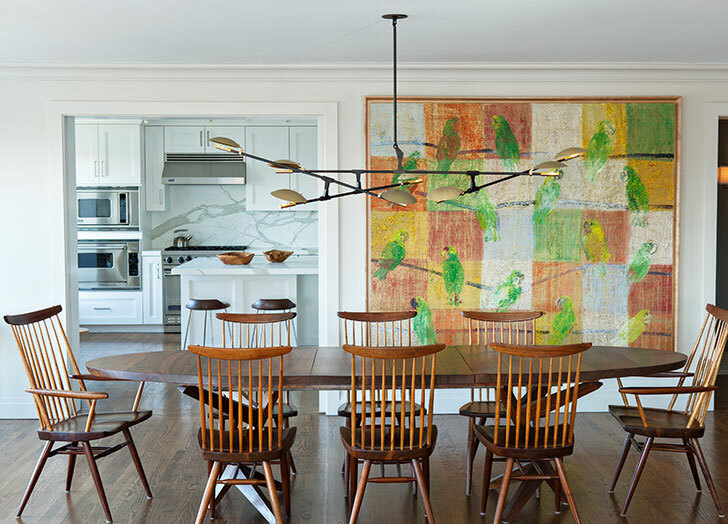 Wall treatments are a gorgeous design statement—but they’re easy prey for grubby fingers and errant magic markers. The solution? 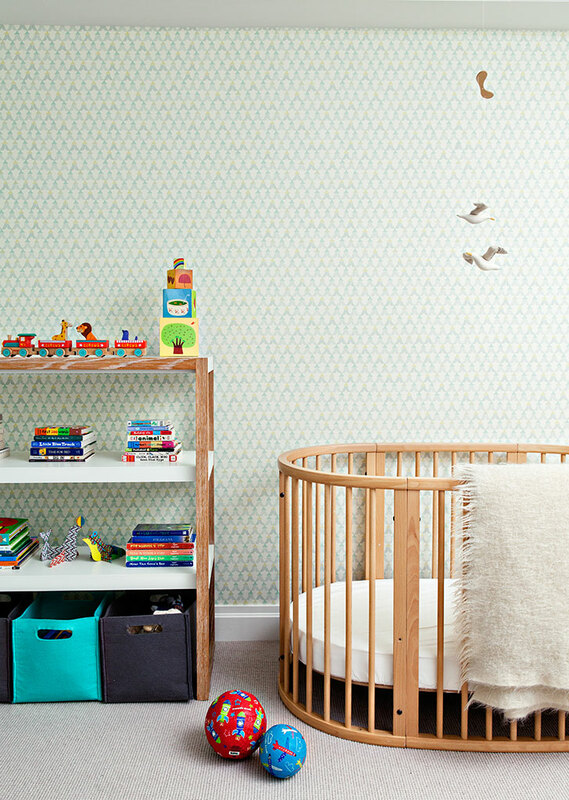 Easy-wipe vinyl wallpaper from Elitis, which Gersten used across accent walls in all the bedrooms. We know what you’re thinking: Beige rugs in a kid zone?! But all of the pale carpeting in this home is strategically 100 percent wool. Fun fact: Wool is effectively stain-repellant thanks to the natural lanolin oils in its fibers. Translation: Wool doesn’t soak up spills like other materials do—and it’s the easiest material to steam clean as needed. Think fashion and function when it comes to pieces they’ll outgrow. 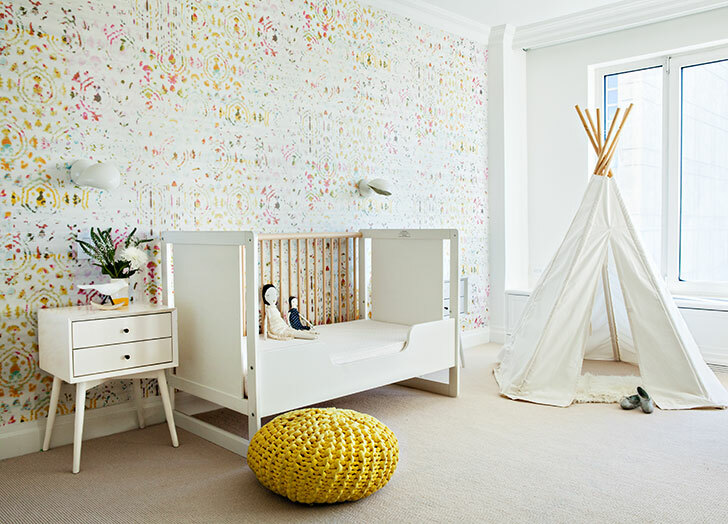 The teepee in the girl’s room, for example, is both a fun design note as well as storage solution and activity hot spot. In addition to a cute indoor playhouse, toys and mess can be quickly tucked inside at cleanup time. Keep the messiest activities (see: snack time, arts and crafts) to a designated spot for a solid defense against major messes. This child-size Jens Risom dining set is the first place these kiddos flock to because they have ownership over it—and it makes them feel like tiny grown-ups!